No hard feelings here! The royal fab four are still hanging out as usual. On Saturday, pregnant Meghan Markle and husband Prince Harry and his brother Prince William and wife Kate Middleton attended the annual Royal British Legion Festival of Remembrance at the Royal Albert Hall in London. The event commemorated those who lost their lives in conflicts and marked 100 years since the end of World War I.
Meghan arrived in a black Stella McCartney wrap coat dress and black pumps. Kate wore a black sheath dress with half sleeves and an asymmetrical V-neckline. The group was joined by other royals such as Queen Elizabeth II and Harry and William's father Prince Charles and his wife Camilla, Duchess of Cornwall. The news comes two weeks after the Sunday Times' reported that William and Harry are making plans to split their shared Kensington Palace household, which means creating two separate courts with separate staffs "to reflect their increasingly different responsibilities." The event marks the first Meghan has attended since she and Harry returned from their first joint royal tour, of Australia, New Zealand, Tonga and Fiji more than a week ago. 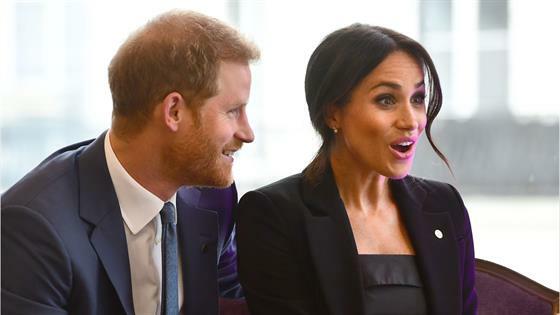 During their trip, Kensington Palace announced her pregnancy with the couple's first child, saying the Duchess of Sussex is due to give birth in the spring. Earlier in the day, Harry lay a wreath at a Remembrance Day ceremony before the England v New Zealand rugby match at Twickenham Stadium in London and met with players. On Thursday, Harry attended the field of remembrance service at Westminster Abbey.